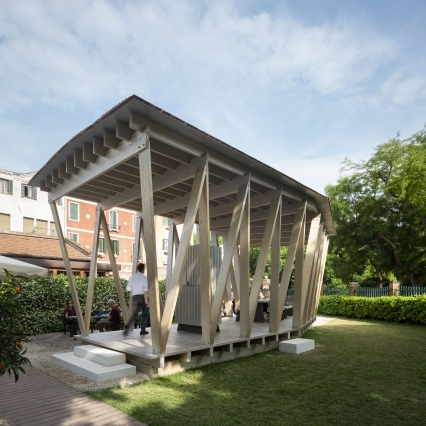 In Praise of Shadows have designed a temporary wooden Pavilion in the garden of Serra dei Giardini as part of the collateral event, Greenhouse Garden - Reflect, Project, Connect at the 16th International Architecture Exhibition in Venice. 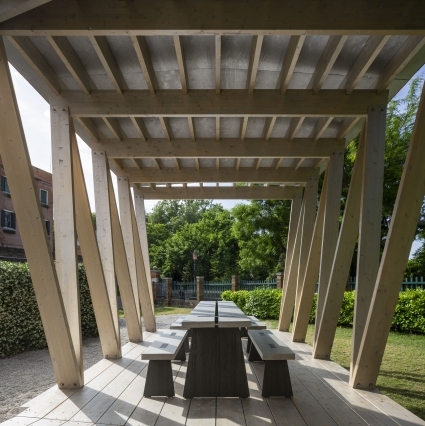 The pavilion is formed as a loggia with inspiration from and in dialogue with the structure of the Greenhouse adding an outdoor shaded space to the garden. 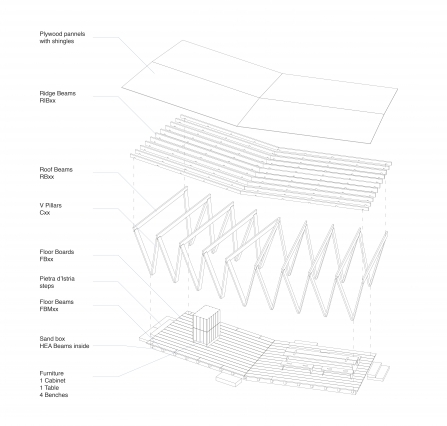 The typologies of the loggia and the traditional Swedish dance pavilions have been important references for the design. 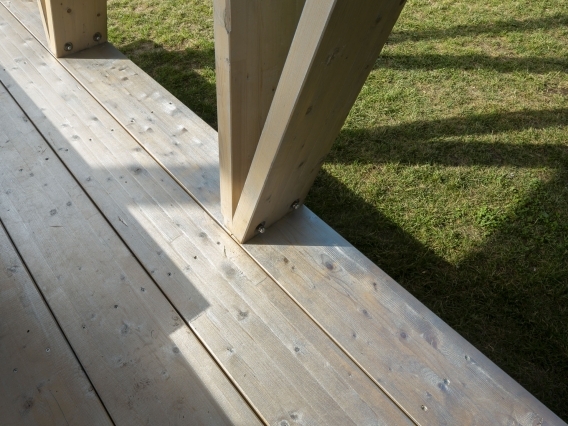 The wooden pavilion is built of Glulam and produced by Martinsons. 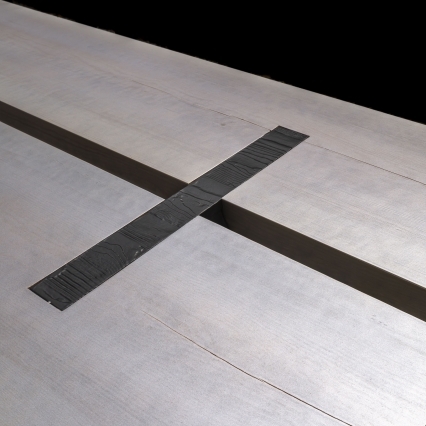 A set of furniture, a bench, a table and a cabinet, has been developed in collaboration with Källemo. 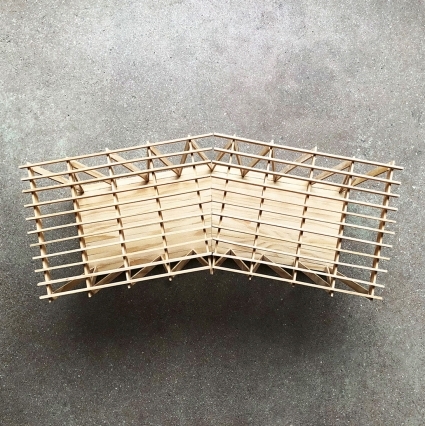 The Loggia is part of the exhibition Plots, Prints, Projections curated by Ulrika Karlsson. 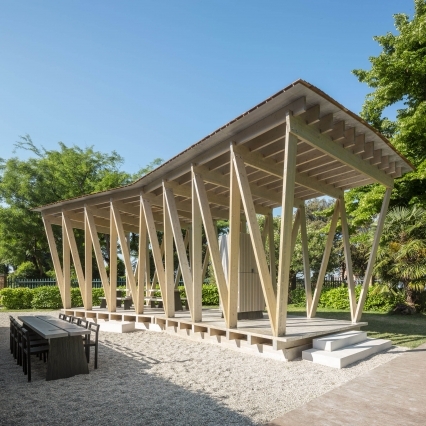 The Loggia will also act as the stage for a series of seminars and workshops on architecture, the built environment and the global goals of Agenda 2030, as well as how architecture and wood can be part of it.